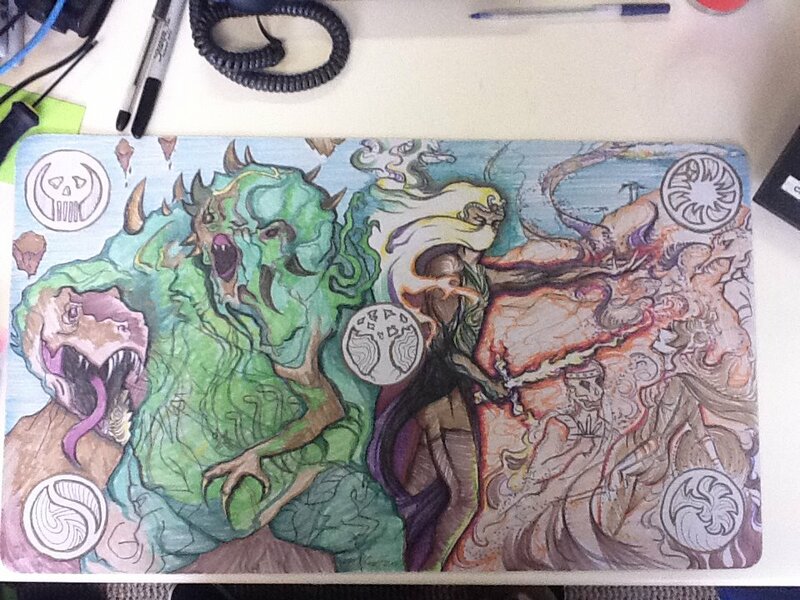 Here's a playmat commission I did for Nick, who's awesome. And thanks to everyone I met at SCG Seattle for being so patient in getting their stuff. It has been such a crazy summer. Like a small biz newb, I totally underestimated how difficult it would be to meet production goals while maintaining my obligation to family. Dur. Anyway, thank you all so much for your support and business. Nick gets credit for this photo, as I was in such a rush to send it to him I forgot to document it! I based it off of his two Commanders, The Mimeoplasm and Hazezon Tamar. I also did a Hazezon alter for Nick, which I'll post later.